Kamla Nehru Hospital has the status of an RCC (Regional Cancer Center) – which’re only 27 in the whole country – hence receives heavy funding. But the condition of the health facility hasn’t changed in 24 years – patients die everyday due to negligence and paucity of staff. Sonia seems to have not used grants worth crores over decades and simply earn interest on it. Recently, due to efforts of some activists court has accepted the PIL to look into this matter. Read details below. 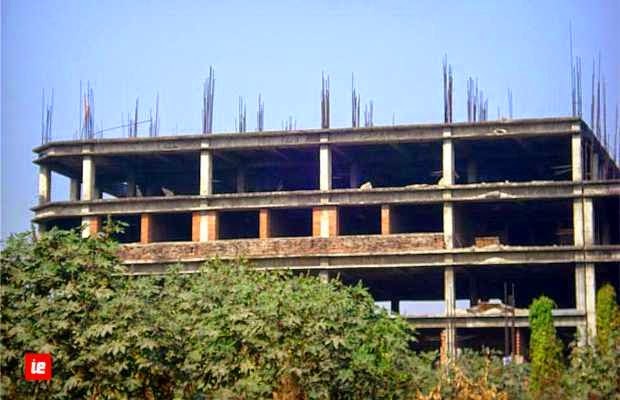 What started as an inquiry into the facilities provided by regional cancer center Allahabad, Kamla Nehru Memorial Hospital ended up in an almost never ending search for a 500 bed super specialty Hospital, incomplete structure still haunts the residents of Allahabad since 1989. History Of Hospital: The hospital had its beginnings in 1931 as a dispensary founded by Kamala Nehru in her ancestral house. Foundation stone was laid down by Gandhi ji in 1939, he himself collected donations from the people of Allahabad for the purpose. 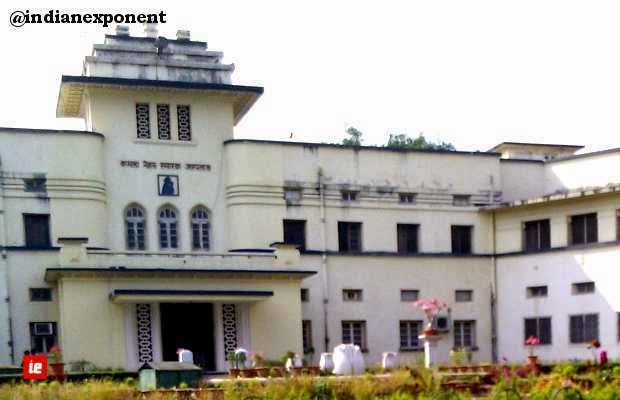 This was formally converted into a hospital on February 28, 1941. Inaugurated on 28 Feb. 1941 by Mahatma Gandhi. Started as a centre for mother and child health care. There are around 27 RCC (Regional Cancer Care) according to the health ministry’s website and two of them are in Uttar Pradesh. It is run by Kamla Nehru Memorial Trust. The trust is currently headed by Mrs Sonia Gandhi and also claimed by her to be her private family run Trust and society. A grant of 616 million yen was given by Japan in 1989, the date of transfer of letters was 27.06.1989 as per the ministry of external affairs under Indo-Japan aid program for cancer control in India (7.3 crore as per 1989). This grant was awarded to Kamla Nehru Memorial Hospital Allahabad for the construction of 500 bed multi-facility cancer center the same year (as per the proposal of KMNH to UGC). Till this day the hospital structure is incomplete, the records show no work was in progress since ages, the available records show that between 1998 and 2010 no change in the status of that hospital (G.B-I Expansion Project) took place,still every year the auditors are told that the construction of hospital will be completed as soon as possible. Records of 1998 also show that un-utilized grants of around 10 crore remained with the hospital still construction never took place.It has been observed in the available reports of CAG that the grants were kept idle just to get interest on the money. In 2004-2005 the hospital got a grant of Rs 3 crore under NCCP, National cancer Control Programme and another 5 crore in 2006-2007 under the same programme,where only 3 crore was to be given to the old RCCs and 5 crore to New Regional Cancer Center as per the programme guidelines. Interesting to note that it was recognized as RCC In 1994 as a Regional Cancer Center Ministry of health and family welfare. When the CAG auditors inquired about the queries they were told that they will be given the answers in time. There were a total of around 47 unanswered paragraphs in the CAG reports over the years since 1990. In 1990-1991 alone there were 9 unanswered paras which are not answered to this date. Still it continued to get all sort of Central, state and international aids and grants which were not even justified most of the time. A grant of Rs 6 crore has been kept unutilized by the hospital since 2007, it has been observed by the auditors that the actual purpose of the grant and the progress of the project has not been cleared by the hospital authority. And auditors have marked that possibly the grant is kept idle to get interest out of it. On detail file inspection it was seen that the actual where about of the grant money as well as the interest amount was not made clear to the auditors. Reply By KMNH: This is being looked into and appropriate reply will be given in due course of time (2010) no audit conducted after that. Observation: The audit is being undertaken since 30 lac recurrent grant is given to the hospital by the state(because of letter by Rajiv for 175 teaching beds) audit is conducted for that and this money is the amount given to them by center which is unjustified under NCCP hence they don’t have an answer. In the year 2007, Rs 129 lac from the grant money was transferred to capital asset account and was shown as expenditure, auditors have raised serious question on that and have observed that this amount is merely shown as an expenditure and not actually spent . An overdraft total amount equal to Rs119.4 lac was done by the hospital it can be seen from the detals of one such overdraft that one such overdraft transfer of rs 50,00,000.00 was done on 28/04/08 to delhi cheque no.573150.The auditors had asked about the purpose,authority and reason for such an overdraft. Reply by KMNH: Since Kamla Nehru Memorial Hospital is a private hospital they can have such overdrafts and are not liable to give answers. Ground Reality: This is a recognized Regional Cancer Center and enjoys all the government funding which are given to any such regional hospital still they claim they are private hospital. They also get a recurrent grant of Rs 30 lac per year for 175 teaching beds and got Rs 51 lac from Department of Atomic Energy GOI for procuring cobalt 60 unit. It was shown that Rs 3 crore was granted to the hospital in the year 2004-2005 and Rs 5 crore was granted in the year 2006-2007,when asked the reason for such drastic increase it was stated that it was as per National Cancer control Program, but looking into the guidelines of NCCP it can be seen that Rs 5 crore was meant to be granted to new cancer center whereas for an existing cancer center the grant was supposed to be Rs 3 crore. The damage is immense as funds equivalent to the funds meant for a new cancer center was diverted and 1000s of patients could not get an access to treatment and may have lost their lives because of this bungling. No record of purchase of medicine for the amount of Rs 3 crore and distribution of Rs278 lac in the year 2007-2008 was given. Profit sharing with doctors in a charitable trust has also been questioned by the CAG on page 28. Reply by KMNH: Since no money is embezzled CAG has no right to intervene. Comment: If profit is being generated in a hospital which is taking grants from the gov maybe it can stop taking grants and let the money be utilized in some nonprofit hospital (its completely unethical for a recognized RCC). In the 2007-2008, free and subsidized treatment provided to people with influence rather than people who were needing it as per CAG report. The hospital procures medicines and other supplies at retail rate as per the auditors. Reply by KMNH: Note taken for compliance. Jananni Suraksha Yojana not Implemented and Rs 83,000.00 returned to the center after 1 year. Comment: KMNH was made with the donations collected by Mathma Gandhi since in those days a lot of women and children died in child birth, this scheme was made to give Rs 100 –Rs 500 to BPL women who had babies for safe delivery and initial care to reduce infant mortality, it may seem to be a small amount but it is huge negligence and could have caused lives of mothers an their new born babies. Poor payment to the hospital staff. It has been observed by the auditors of CAG that in the time of 6th pay commission the staff is not even being paid as per the 5th pay commission the nurses are getting around Rs 6500, while medical superintendent is getting Rs 80,000. This will lead to poor patient care as, if the staff is not paid properly they wont be well trained as observed by the auditors. In many cases the patients have to pay the price of the nurses being untrained at the hospital. Since it is a Regional Cancer Center patients from the whole region come here for treatment. Reply by KMNH: Since they are a private hospital they are not liable to follow pay commission. Closer observation and comparing the reports of 2005 to 2010 shows nominal increase in the salary of the staff, most of the staff quit in 2005 and untrained staff on contract basis was hired, endangering lives of patients. As per replies it is clear that KMNH was given the statues of RCC in 1994 and there are no documents to direct us on what grounds was it given that status. It seems from the whole 10 months of the Research that we have done through RTIs and audit reports that this hospital has gained best of both world, got funds like a government funded non profit organization and denied the expenditure and profit details stating it is a private hospital. Still no action is ever taken or grants are blocked. It seems that the government has no regards for the tax payers money as well as the plight of poor patients but is working for the welfare of certain influential people. 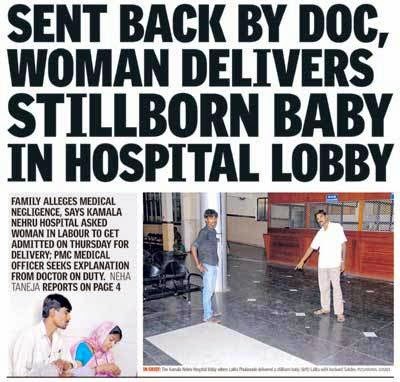 Story of Kamla Nehru Memorial Hospital (KMNH) is not unique, but the arrogance of power, lack of humanity and blatant corruption has caused suffering and death of thousands if not millions in this region. This hospital was created with the collections done by Gandhiji himself, people gave their money jewelry etc for this, not the trust and the trustees claim it to be a private affair. They are bleeding us dry and that too shamelessly. Update: Our PIL is Allahabad high Court has been accepted against Kamla Nehru Memorial Hospital and Regional Cancer Center. 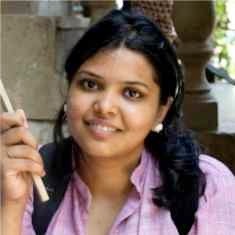 The court has also sought a status report on Shivani the 10 year old blood cancer patient.